What’s colorful, fresh, and adorable all over? 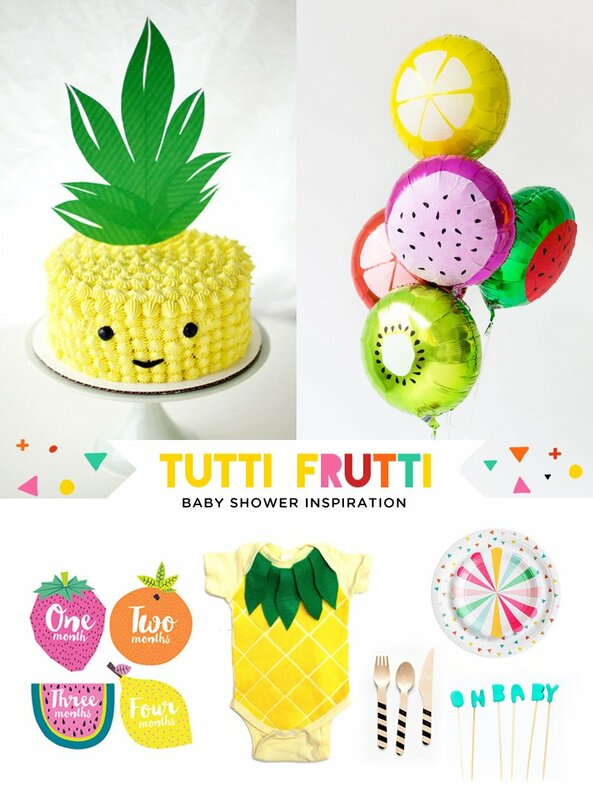 A Tutti Frutti Baby Shower theme! I was recently asked to participate in a fun Oh Baby! 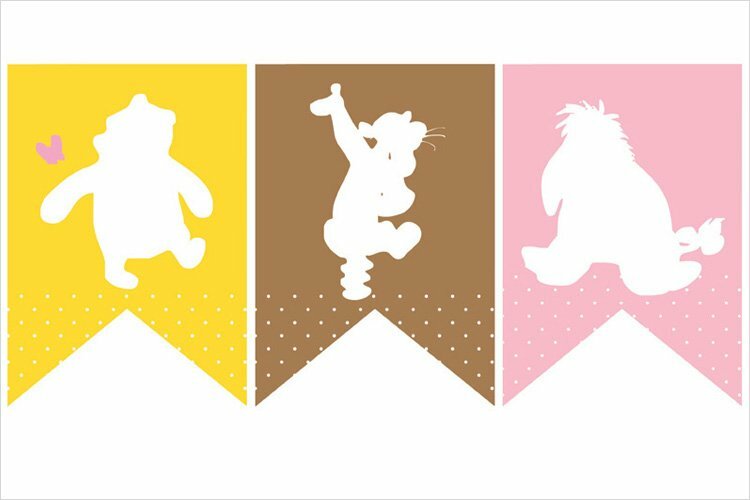 Shower Series over at 4moms by sharing tips and ideas on one of my own favorite baby shower themes. I’m not sure if it’s the imminence of spring or my year-round obsession with all things watermelon and pineapple, but I was feeling especially inspired by fruit! 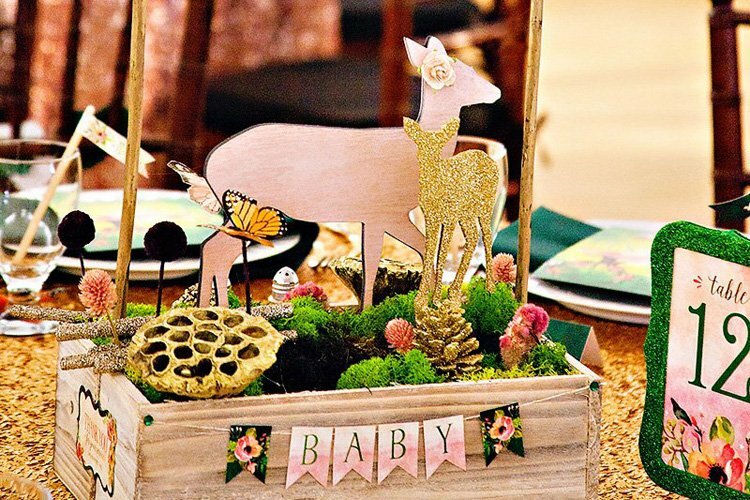 And since my personal design palette tends to lean contemporary, I also gave this fruit-bedecked baby shower a modern twist with the addition of geometric patterns and bold pops of black and white. • Make a simple, yet super cute Pineapple Cake from Coco Cakeland and decorate with DIY Fruit Slice Balloons from Studio DIY. • Little Tutti Fruitti Monthly Stickers would make a great themed gift for mom-to-be, of course, but I’d also recommend picking up an extra set to use as decorations for charger plates or vases, or even to use as clever “drink markers” for glassware! • Hang this Pineapple Baby Onesie/Costume for guests to ooh and ahh over, then gift it to mom for photo opps later! • Deck out the buffet with cute patterned partyware like these Triangle Confetti Plates, Scalloped Pinwheel Plates, and Black Stripe Wood Utensils. • Make a playful OH BABY topper to add to your pineapple cake using this clever Clay Letters Cake Topper tutorial from Minted. • Set the tone for a very fun party right off the bat with this darling Tutti Fruitti Baby Shower Invitation. • Meri Meri’s Fruit Party Picks are a super quick & easy way to dress up cupcakes and other mini desserts. 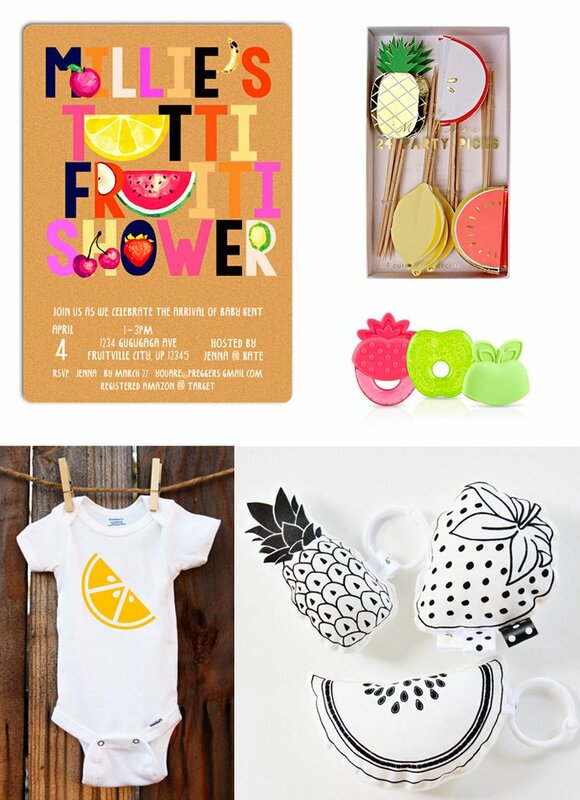 • I always love using real toys and baby gear as decorations at baby showers – like the Gel Fruit Teethers, Lemon Slice Onesie, and Monochrome Fruit Salad Rattle Toys pictured here – because the items can double as gifts for mom after the shower! 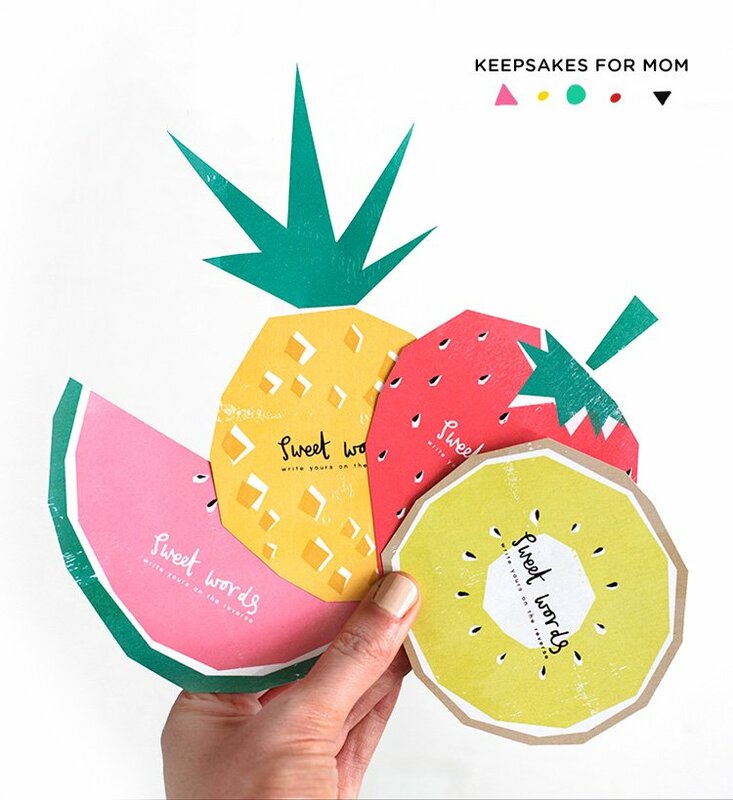 To create a great keepsake for mom-to-be, ask guests to jot down sweet words, well-wishes, and advice on these printable Fruity Cards for Well Wishes, available for free download via Bespoke Bride. Aren’t these just the cutest?! If you’re doing a sit-down luncheon or brunch, the place settings would look fantastic with one of these cards centered at each place setting! 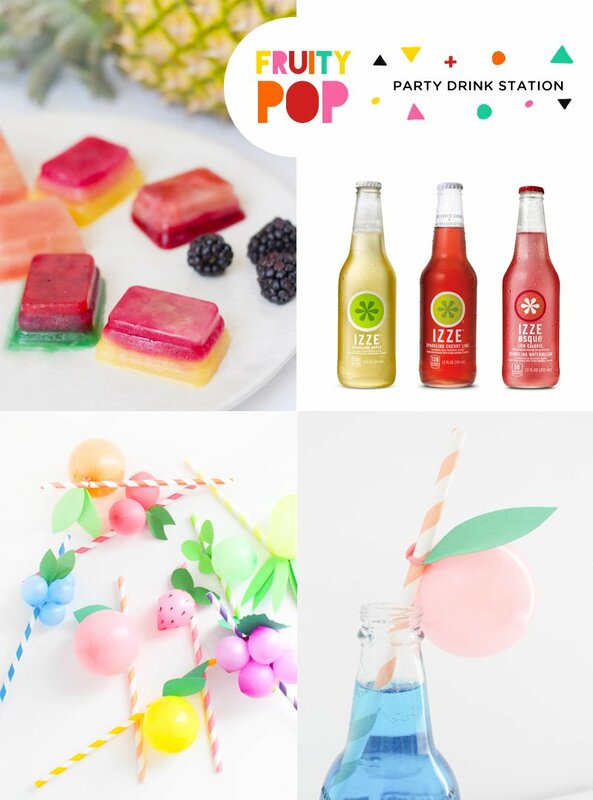 • Set up a fun “Fruity POP” drink station featuring a variety of colorful sparkling fruit sodas! 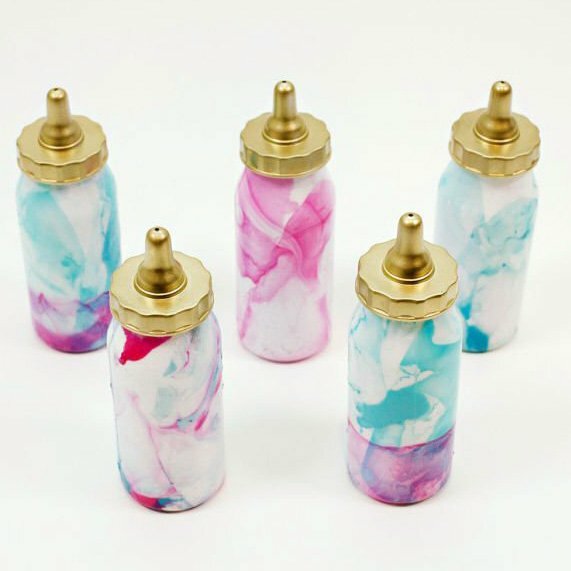 I love the modern look of IZZE bottles, but you can also set out juice mixers and lemon lime or club soda in pitchers, and let guests mix up their own drinks. Wouldn’t these Frozen Fruit Ice Cubes from Momtastic look great in a glass of lemon-lime soda or sparkling water?! 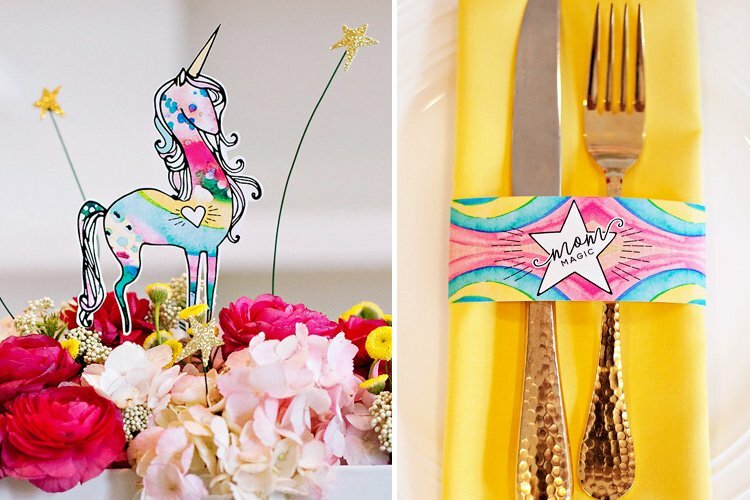 • Speaking of “pop”, if you want to go the extra mile on the cute factor, let you guests sip their drinks from Fruity Balloon Straws! 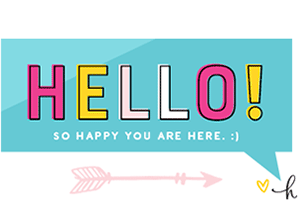 (Tutorial by A Joyful Riot) I think they’re just about as fun as it gets! The sky’s the limit when it comes to fruit-inspired treats and desserts, but since this is a baby shower we’re also looking for a dash of cute and unexpected! 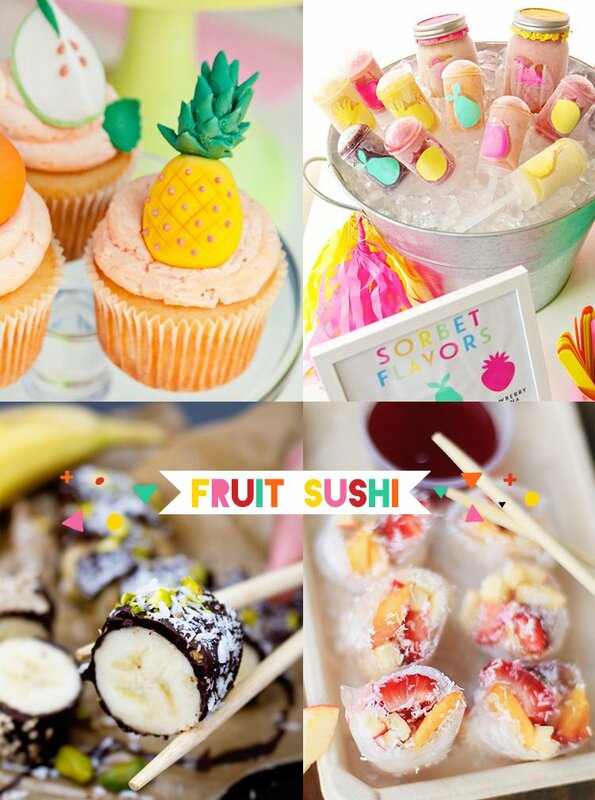 • And since mom-to-be might is probably missing her sushi by now, “Fruit Sushi” should be an extra-welcome treat! Check out this pretty Fruit Sushi recipe from Free People, and this Super Easy Banana Sushi via Vegan Heaven. 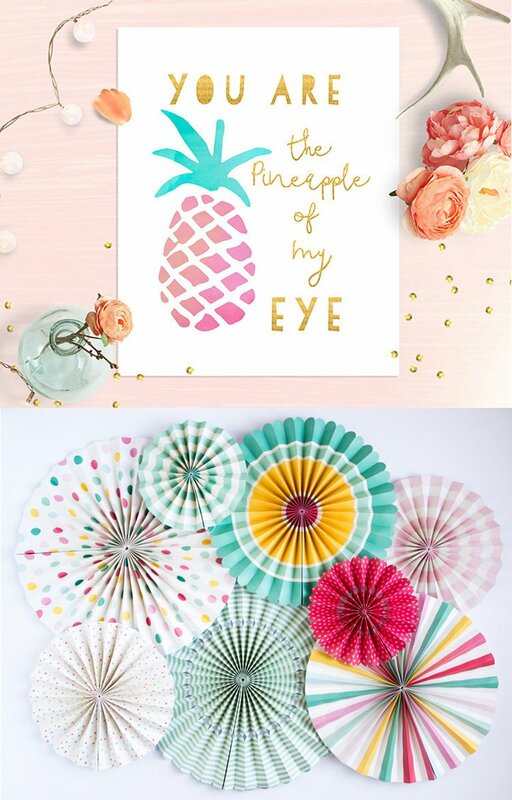 • Display themed sayings – like this You are the Pineapple of My Eye Nursery Printable in colorful frames as a sweet nod to the occasion. • This Multicolor Party Fans Set would make a great backdrop for a fruity dessert table of photo booth! 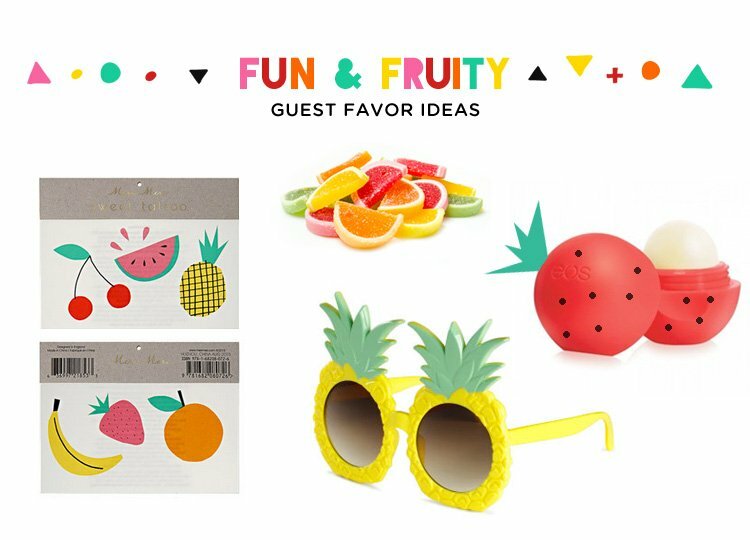 Here are a few fun favor ideas for guests: Fruit Tattoos, Candy Fruit Jell Slices, Pineapple Sunglasses, and DIY “fruits” made from EOS Lip Balm Spheres! Use sharpies and/or colored paper to decorate the lip balm spheres, similar to how I mocked it up in the image here to create the look of a strawberry. Try adding paper leaves and branch “stems” to orange and yellow balms to turn them into citrus fruits, or draw a criss-cross pattern on a yellow balm to create a “pineapple”. Have fun with it! This is an absolutely adorable idea. I love the bright colors. The “Pineapple of my eye” sign is just a sweet touch. :) And who doesn’t need a pair of pineapple sunglasses!!! LOVE THEM!!! So pretty!! I love all the cute details. Wow!! I loved the decoration, a super different and creative theme. 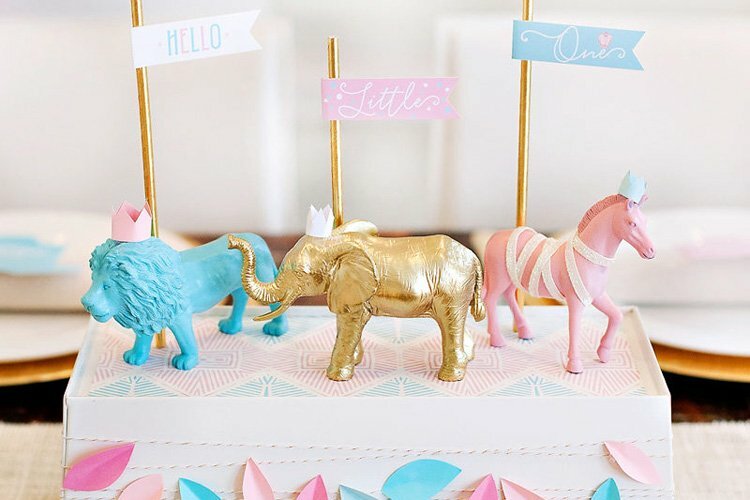 I’m already thinking of using this theme in a next little party of my baby! Thank you for the tips.